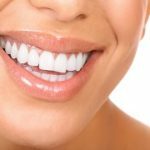 Pacific Smiles Dental Implant Center provides people of the Redondo Beach, Torrance, Palos Verdes, Hermosa, Manhattan Beach, El Segundo, and greater Los Angeles areas with high quality and aesthetically tailored dental implants. With many dental offices to choose from, where do you start when shopping for the best place to have your tooth or teeth replaced? We’ve put together some tips below that are sure to help you on your way to making the best choice. This is, perhaps, the most critical criteria anyone would want to pinpoint first while shopping for dental offices to have any dental services done, including tooth implants. 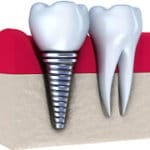 Though the lowest or most competitive implant price can be tempting to be the primary deciding factor while shopping for implants, if your surgery is performed either by a less experienced dentist and/or with lower quality materials, the overall cost may end up costing you more in the end. 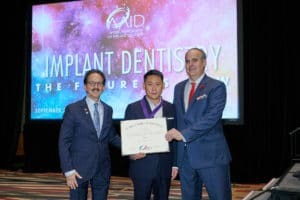 Here at Pacific Smiles, Dr. Kim is designated as a Certified Diplomate and Fellow at the American Board of Oral Implantology/Implant Dentistry, signifying the highest level of competency in Implant Dentistry. Learn from those who have already been through it. There’s nothing like proving one’s work through their patient’s successful results and their satisfaction. Not only do we continue to receive wonderful feedback from our patients experience with us, but they also love the outcome of their dental implants and cosmetic dental work, proudly smiling and showing off their beautiful smiles as a result. 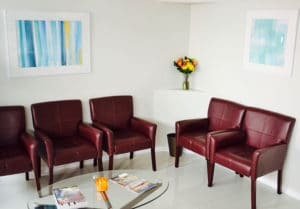 Please see our Reviews page to hear more from our patients. The quality of the materials used for dental implants is often overlooked. We don’t skimp on the materials used for dental implants, but use high quality, premium materials that have shown the best results over our many years of placing implants. 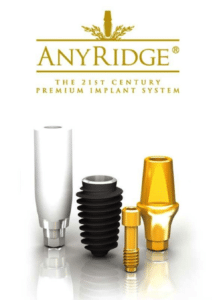 Dr. Kim uses the MegaGen Anyridge Dental Implant System, a high technological system that has provided many quality and successful dental implant applications. 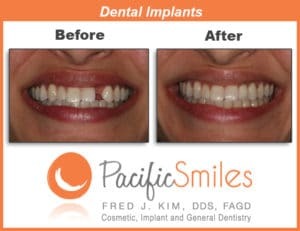 Pacific Smiles specializes in Implant Dentistry. Because of this, we are able to offer our dental implants at an affordable and quite competitive price for our patients. During your free consultation, we will sit down with you and discuss options that best fit your budget according to your specific case. You will receive an upfront, honest assessment in regards to your budget from Dr. Kim. The experience of your Implant Dentist cannot be overemphasized. 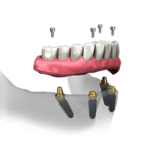 Dr. Kim has performed many simple to complex Dental Implant cases, giving him a wide array of experience with placing implants from single, to multiple, to a full mouth of missing or lost teeth cases. 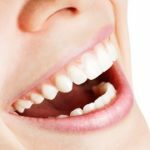 If you are missing all of your teeth and whether you’d like a better, more permanent solution than removable dentures or are limited on your budget, we offer the All-On-4 solution that benefits patients both in providing a full beautiful smile while giving a cost-saving solution compared to single implants.